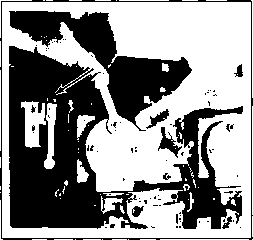 The use of an abrasive (such as steel wool or a wire brush) or a lubrication on a coin mechanism will result in a rapid buildup of residue. By talking to many operators, we have found that the best method of cleaning a coin mechanism is by using hot or boiling water and a mild detergent. A toothbrush may be used for those stubborn buildups of residue. After cleaning, flush thoroughly with hot or boiling water, then blow out all water with compressed air. Figure 4-4 Surfaces to Clean Inside the Coin Mechanism mainplate, and the corresponding surface of the gate assembly. There may also be metal particles clinging to the magnet itself. To remove these you can guide the point of a screwdriver or similar tool along the edge of the magnet. If coins are not traveling as far as the coin mechanisms, you will need to clean the channel beneath the coin slot. To gain access to this channel, use a 3/8-inch wrench and remove all three nuts that secure the cover plate (refer to Figure 4-5). Removing the plate will provide access to the entire channel. Also clean the inside surfaces of the secondary coin chutes, but when doing this be careful not to damage or bend the trip wires on the coin switches. Do not apply lubrication to the coin mechanisms. The only points that may need lubrication (and only rarely) are the shafts of the scavenger buttons (coin rejection buttons) where they pass through the coin door. Apply only one drop of light machine oil, and be positive that no oil drops down onto a coin mechanism. 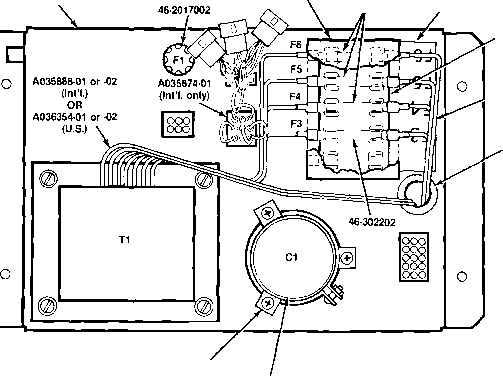 Figure 4-6 shows this lubrication point. In order for a coin switch to operate reliably when a coin travels down the secondary coin chute, the rest position of its trip wire should be as shown in Figure 4-7. Use extreme care when handling or touching these wires.